Aston Martin, or Aston Martin Lagonda Limited as it is officially know, is a British automobile manufacturer that was founded in 1913 by Lionel Martin and Robert Bamford. The company is primarily known for its of luxury sports cars and grand tourers. Aston Martin was well known in Great Britain, but in 1964 the DB5 model was used as a Bond car in classic 007 film Goldfinger, which brought world-wide attention to the brand. Aston Martin has endured both long periods of success and teetered on the brink of financial ruin. The company has transferred ownership several times and was even a division of Ford Motor Company from 1994 to 2007. Most recently, Aston Martin signed a deal with Mercedes Benz parent, Daimler AG, to supply new engines for the next generation of Aston Martins. 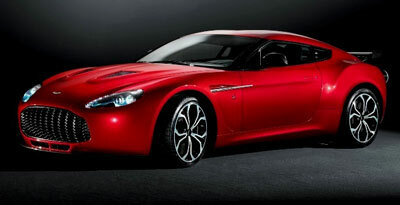 Why Pay More At the Dealer for Your Aston Martin Auto Repairs? But even glamorous, luxury brand automobiles like Aston Martin need service and preventative maintenance to keep them running smooth and trouble free. So whether you own a beautiful Aston Martin V12 Vantage or an exquisite Aston Martin Vanquish, Foreign Auto Services and their expert service technicians can trouble shoot and repair all Aston Martin makes and models. From brake repair to transmission problems, Foreign Auto Services in Palm Beach County has you covered.